The Vitamin D and Cancer Connection has been known since the 1940’s. Has anyone TOLD you about Vitamin D and Cancer yet? 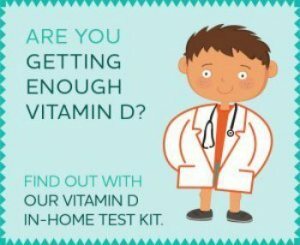 The Vitamin D and Cancer connection was noted back in the 1940’s by a researcher named Frank Apperly who suggested that sunlight gave "a relative cancer immunity". 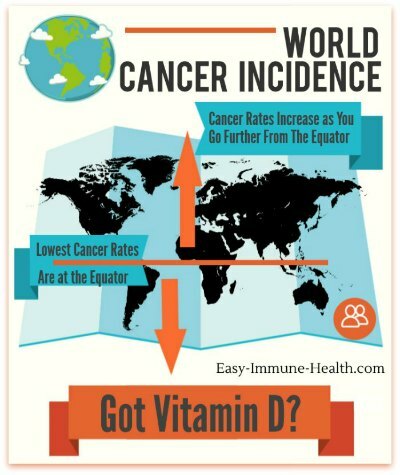 All of the time, more and more Vitamin D Research continues to show that Mr. Apperly was correct -and we continue to ignore him… Well, pay attention because this Vitamin D Cancer information could be vital to your health and influence you for the rest of your life! I predict that this list will continue to grow as time goes on and more Vitamin D research is gathered regarding Vitamin D and cancer. Sadly, these findings have done virtually nothing to change anything in medical practice. It is estimated that up to 75% of the population is deficient in Vitamin D- and researchers state that the 400 – 600 IU’s per day recommended by governments is “woefully inadequate”. So, let’s put this together. Vitamin D intakes are inadequate -and inadequate Vitamin D intakes increase the risk of cancer. Yet no one is recommending higher dosages – or in most cases ANY dosages at all! Having been a nurse for the past 13 years, I rarely see a doctor recommend so much as a multivitamin- even though the small dosages of Vitamin D that are present in the majority of multivitamins could help to ease the Deficiency of Vitamin D cancer epidemic!! It seems that the medical profession is not doing its job. There are mounds of studies out there showing that Vitamin D improves health in MANY ways – INCLUDING prevention against cancer. Yet the medical profession isfailing to tell us about this critical Vitamin D Cancer link! There are even many people who claim that the jury is still out- that we need more evidence to make a good decision. 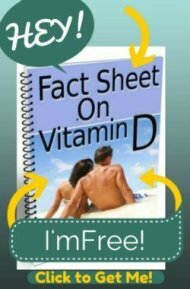 Yet, the study, 'The Role of Vitamin D for Cancer Prevention', analyzed a full 63 high quality studies to come to the conclusion that "vitamin d supplementation could reduce cancer incidence and mortality at low cost, with few or no adverse effects" And altogether, there have been over 3000 studies showing the relationship between vitamin D and cancer. How much more evidence do they NEED before they are willing to actually put this information to use and to help save the lives of millions?! Unfortunately, the governments are no better than the medical profession when it comes to the Vitamin D and Cancer subject. The standards set for Vitamin D were made in the 1930’s and have not been updated since – despite evidence that it is too low and that much much higher doses are not only harmless, but beneficial. In fact, a group of Vitamin D researchers have put out a"Call to Action" in order to get the governments of countries to act and increase the recommendations for the minimum daily intake of Vitamin D to 2000 IU's per day. As yet, no governments or medical groups are listening, despite 15 Vitamin D researchers and doctors desperately pleading for them to change the guidelines. The Canadian Cancer Society seems to be one of the few organizations that has taken any sort of stance on Vitamin D and cancer prevention, recommending that during the winter Canadians take at least 1,000 units a day of Vitamin D. That’s a start, but it's curious that they decided to recommend 1000 IU’s a day. There are NO RESEARCHERS that are recommending that low of a dosage. 1000 IU's is an ultraconservative dosage that is less than what some of these researchers are recommending for newborn infants and is a completely arbitrary number not based on current Vitamin D research! He has been urging the UK governments to increase the minimum requirements of Vitamin D there as well - also to no avail. The American Cancer Society is even worse. Despite the fact that researchers are so adamant about Vitamin D and Cancer Prevention, it has taken the official stance is that people should not take vitamins in order to prevent cancer. But does the American Cancer Society have your best interests in mind? Samuel Epstein MD says that they are More Interested in Accumulating Wealth Than Saving Lives. Scientists are finding that VERY large doses of Vitamin D, well beyond dosages that will cause Vitamin D overdose symptoms in humans, not only improve cancer rates, but can cure cancer in some animal models. Unfortunately, the undesired side effects limit the use of these high doses in practice. So there are lots of money and resources being used by drug companies to try to find ways to separate the components so that the anticancer portion of Vitamin D can be put into a drug to treat cancer. Incidentally, this would also make the drug patentable, thus allowing the drug companies to make money on the drug, something that they are not able to do with the anticancer properties of the readily available and inexpensive Vitamin D supplements. On the surface, this sounds reasonable. likely to suffer a lot of age-related problems." However, when you understand that almost 75% of the world’s population is DEFICIENT in this vitamin to begin with, it seems ridiculous to be trying to patent drugs that mimic its effects without FIRST recommending that people take adequate dosages so that they are not deficient!! These are just a few Vitamin D research studies that are representative of the current thinking about Vitamin D and cancer. Vitamin D requirements until it is too late!! Is the Vitamin D Dosage Enough? (5)The Role of Vitamin D in Cancer Prevention **Metanalysis of 60 vitamin D cancer research studies!